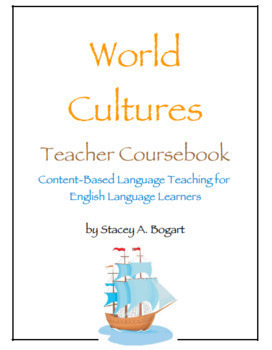 This offering is the introduction to a content-based language teaching (CBLT) course on World Culture. As such, you will use the content as a platform from which to teach language, providing a two-for-one, my favorite style of language teaching. I offer suggestions for inserting specific language lessons, including preview of upcoming vocabulary, teaching Latin affixes, and using all the formative assessment to work on problem areas with your particular students. Each topic is jammed packed with activities and so is usually good for two or even three class periods. 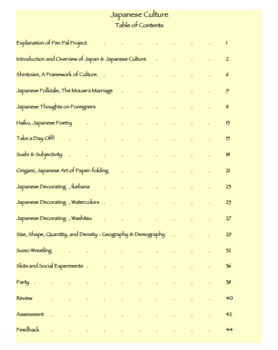 You may view the Table of Contents of the Introduction to Culture Unit and the Japan Unit. 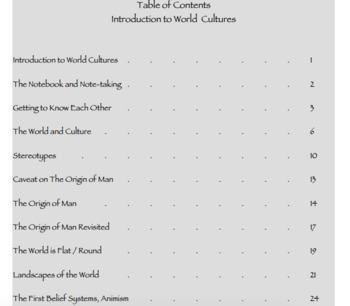 These are offered as individual lesson plans by topic or for a discounted price when purchased as a unit. 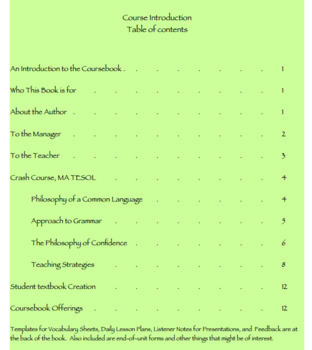 Each topic comes with its own folder that includes all the resources necessary for teaching the lessons - slide presentations, download videos, resources just for the teacher, handouts for students, etc. No internet is needed for teaching the course, though a way to project and present slides and videos is. The course is hands-on. Students will create many things from art to skits to interviews and videos. Students create their own book as you go, so no book purchase by students is necessary.